If you’re ever lucky enough to spend an hour talking with this man, you’ll realize that every day really is Father’s Day in the Avett household. This amazing role model for Scott and Seth (you know, the Avett Brothers) gets our vote for Lifetime Father of the Year. But in Jim Avett’s world, he’s nothing special — shouldn’t everyone strive for the basic ideals of loyalty, hard work, kindness, and love for family? That should be the rule, not the exception. Humble, self-deprecating and gregarious, Jim Avett (who spoke with us via phone from his home in Concord, NC) is also a talented singer/songwriter. 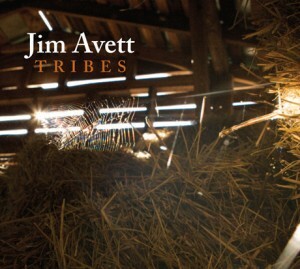 Tribes, his second release (the first, last year’s Jim Avett and Family, was a collection of gospel tunes) is now out on Ramseur Records. 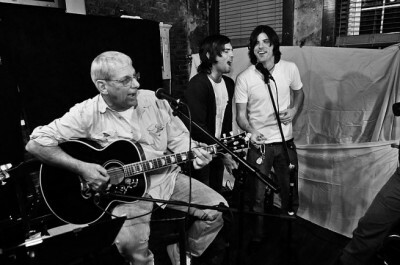 A true family effort, Tribes was recorded at the urging of Scott and Seth, and features his daughter Bonnie Avett Rini singing gorgeous harmonies on the opening track, “This Will Take Time.” Says Jim, “The themes of these songs are built around experiences in love and living and my thoughts regarding both. Three songs deal with the serious side of love, one is gospel, one is a tragedy, and two are just fun to sing. All are based on true accounts.” Longtime friend and guitarist Ray Morton is featured throughout. This is an album of engaging stories performed exactly the way country music should be. The only downside is, at only seven tracks, there are too few of them. “I was influenced a great deal by Bob Dylan, Merle Haggard, Tom T. Hall,” Jim said, “and Nashville and the music of the Appalachian Mountains.” One of the “fun to sing” songs is “Fight With A Bottle of Booze,” which takes the age-old battle with the bottle to an amusing and rockin’ level. A North Carolina native with a Methodist preacher father and a classical pianist mother, Jim joined the Navy and later earned a degree in psychology. After taking up welding as a trade, there came quests for opportunities and adventure that took Jim and his wife Susie and little Bonnie to Alaska, Colorado, Wyoming, Montana, and back to North Carolina (adding Scott and Seth along the way). The importance of family was particularly evident during our conversation when suddenly Jim excused himself and called out to his son in the background, “I got ’em, Scott! You can get ’em up here if you want ’em! Come and get ’em! They’re back in the kitchen!” The Avetts have chickens, and Scott was about to gather the eggs when Jim stopped to tell him he’d gotten them earlier. It speaks volumes grown children (especially successful ones) want to hang around their parents even when they don’t have to. Jim was also kind enough to participate in CMP’s “12 Questions with …”, a new feature that we recently subjected Derek Hoke and Megan McCormick to. We’ll post her interview here next week. Milk, orange juice, eggs, butter, canned pickled beets. The quantity of work by Buck Owen was so much more than Roy Clark, but Roy was such an excellent guitar player. Either one; they’re both excellent. Don Williams. George Strait — he’s one of the few modern guys who I really, really appreciate. Washing dishes at 13 years old. Playing a violin on a live radio show. I played Beethoven and Bach. 7). John Prine started out as a mailman. Did you always know you wanted to be a musician? I can draw, I can paint, I can play the guitar, but I never sat down and said I want to be a musician. When I was in the Navy I said there are some things I want to do before I die. One was to make a recording of my music. Whether anyone is satisfied with them isn’t important, but I’m satisfied with them. 8). Was there a record or artist that changed your life or made a huge impression on you early on? Merle Haggard and Tom T. Hall were the real deal. they could turn a story into a song, and both of them recorded songs that i absolutely love. Probably more than anyone else. They didn’t change my life, but hey changed my style. 9). Which comes first for you, the lyric or the melody? Neither, or neither all the time. Sometimes the music comes first, sometimes the poetry. Tradition and the core of country music. 11). If you were inducted into the Country Music Hall of Fame tomorrow, what would be the first sentence of your acceptance speech? ‘I’d like to thank Merle Haggard and Tom T. Hall for helping to get me here’ [Laughing.] No, I’m sure that it would be something to do with my family. 12). What’s next for Jim Avett? Recording more. We’re gonna put another CD out. Despite what he said about doing nothing special for Father’s Day, I suspect Susie and the kids will have something nice planned, although I’m sure Jim would be happy to just sit on the porch and play music with his family and friends. Happy Father’s Day, Mr. Avett.